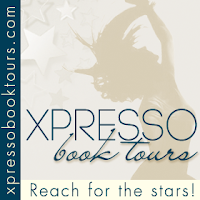 I am so happy to be apart of this lovely 'review' blog tour! It started yesterday, and I want to read what everyone's posting. When I get a chance I'm sitting down and reading everyone's review. Quick little thing, scroll to the bottom to enter the giveaway! 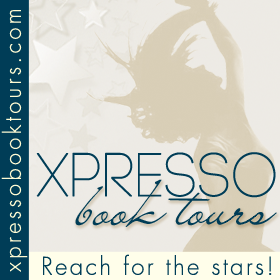 also, the host to this lovely blog tour is Xpresso book tours! 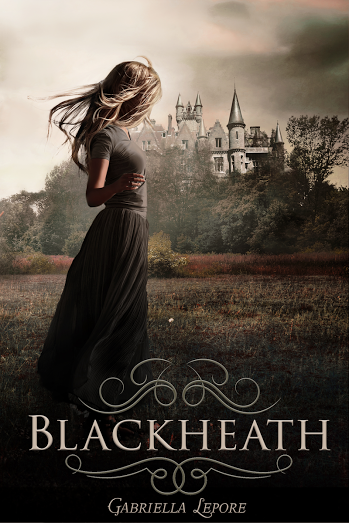 Let's GET TO KNOW the lovely book of Blackheath! Seventeen-year-old Maggie Ellmes is dogged by a case of chronic bad lick. She figures that's just her lot in life--that is, until the psychic at Blackheath's annual carnival reveals that Maggie's problems are caused by more than just ordinary misfortune; she's actually been cursed. 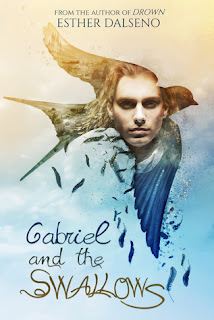 Desperate to shake a hex, Maggie has no choice but to seek out the help of Joel Tomlins, a rebellious classmate who's descended from Blackheath's most powerful line of witches. After breaking all of his coven's conventions to help her, Joel discovers that the curse isn't as bad as Maggie fears. In fac, it's much, much worse. Well, first off! I enjoy this novel a lot! I loved Joel and Maggie and even Maggie's Best friend. And also the little bundle of cuteness, AKA Joel's brother, Pippin. But, I'll get into characters in a moment! right now I just want to point out the MAJOR things I loved about this novel. It was a very unusual good read. What I mean by unusual is, the way they were said to be witches. Mostly in books set in today's time, the 'witch' or 'witches' are like everyone else. No one knows. That's what happened here but it was more or less people KNOWING they are witches just not going to go up to them and be like "your a witch! we must burn you on a stake!" I would have probably cried if they did that. anyways, the people say they are witches but aren't really positive. But most books, the witch is an everyday human. Who isn't like the aunt and may have cooked that rat? am I correct on that? she cooked the rat? I have actually read two books after Blackheath so my mind is a little jumbled, so if I forget a name or two. Don't hate me. The best best best part that I simply adored had to probably be the part at the carnival when Joel goes to drive Maggie to his house . . . and he 'borrows' a car. It isn't the fact that he took the car, but what was said! "If we get pulled over, I'm telling the police you kidnapped me." "Maybe I'll tell them you kidnapped me," Joel retorted as he familiarized himself with the dashboard. Isn't that so cute?!?!?! Just picture them getting pulled over, Joel up front and the police at the window. He rolls it down, points to Maggie and says "she kidnapped me" all innocently. If I was that cop I'd let them go because of how adorable that was. now onto the wonderful characters. To continue reading the rest of the review click here!